A SILVER SPICE CONTAINER. Poland, 19th century. 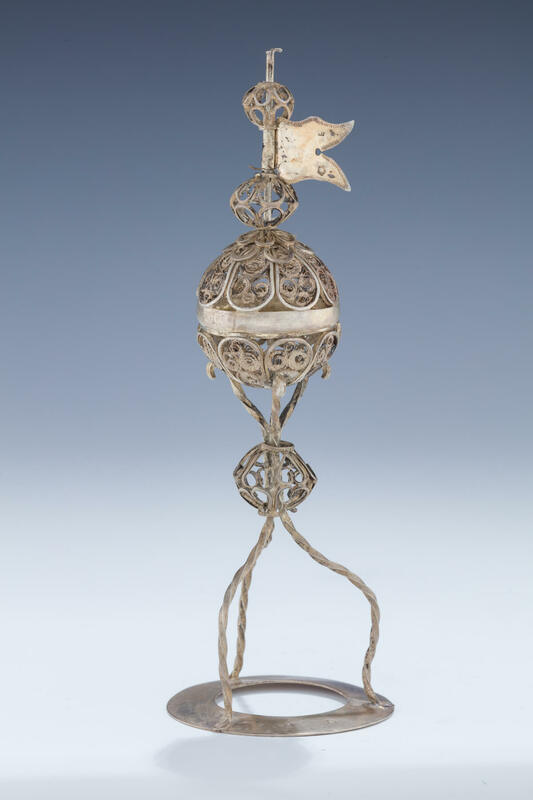 On round base with three wire work stems that connect to a filigree midsection ball. Upper spherical container for spices. Topped with a flag and two more filigree structures. Marked. 6.7” tall.